Official opening of the new resthome in Stembert. Project in association with Creative Architecture. Works for the construction of 33 apartments in two separate buildings with an interior patio and a large commercial space just started. 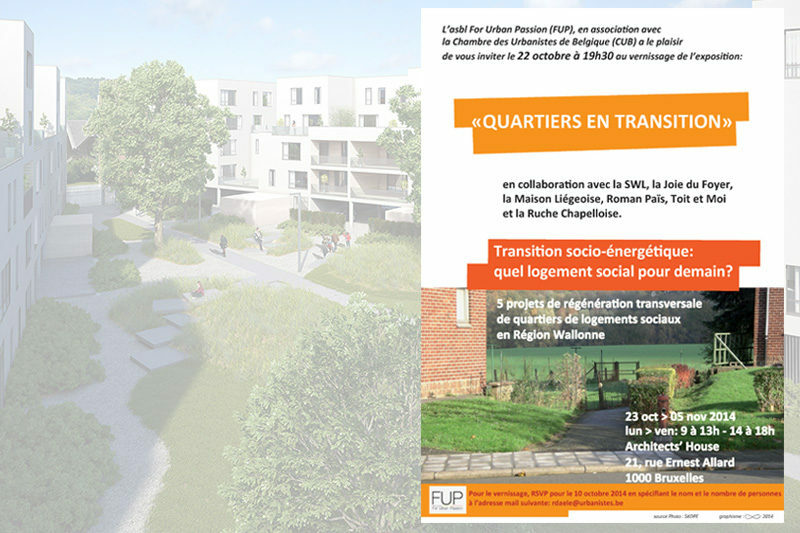 The association “For Urban Passion” with the “Chambre des Urbanistes de Belgique” presents the exhibition “Quartiers en transition”. 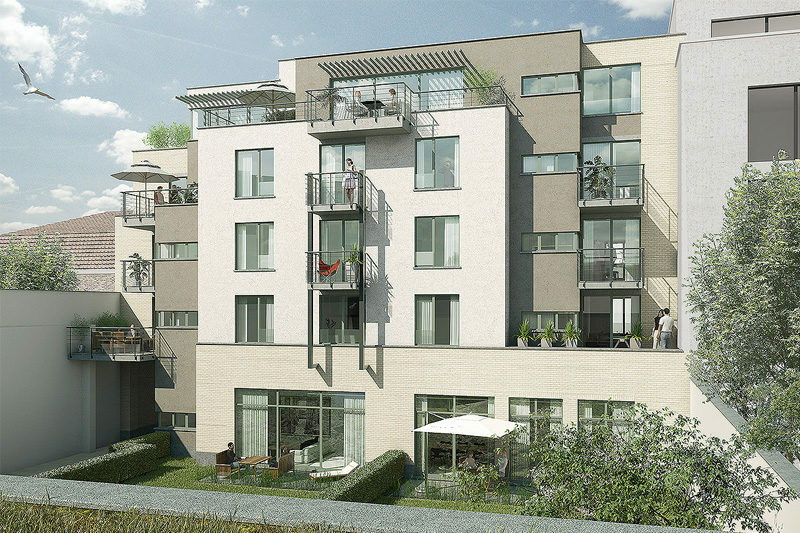 ALTIPLAN°’s project for the construction of 165 housing units in Droixhe (Liège) will be shown. The exhibition will be held from October 23 to November 5 at the Architect’s House, 21 rue Allard in Brussels. The Heidberg Convent opens its new training and meeting centre of the German-speaking Community of Belgium in Eupen. 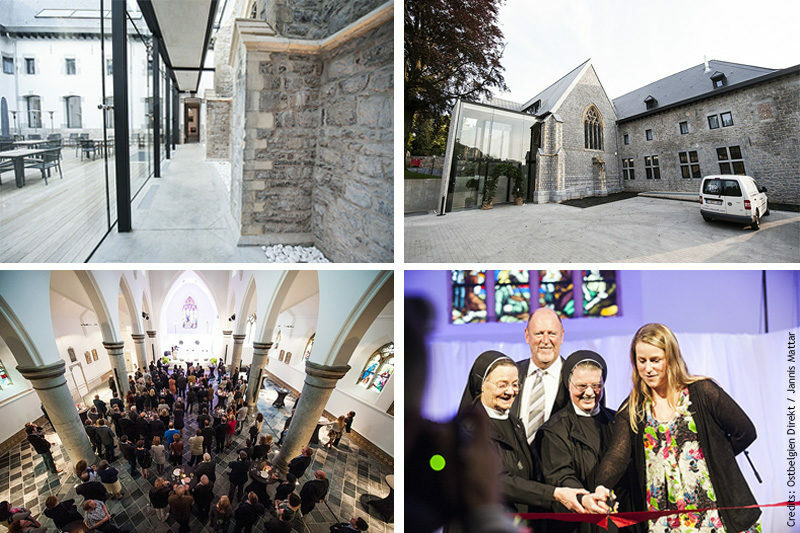 After two years of construction, the Convent of Heidberg in Eupen will be officially opened on Thursday evening. The historic building from the 18th century is a future education and meeting centre. It is the fifth community center of the German-speaking Community of Belgium (source : BRF). Competition won with our partners Creative Architecture, BEL and CPM, for the construction of a new resthome for Vivalia. The project in Sainte-Ode includes 90 beds and 40 short-stay beds. First “Apéro Ephémère” organised by “Concerts Ephémères asbl” at Cour Fischer in Verviers. 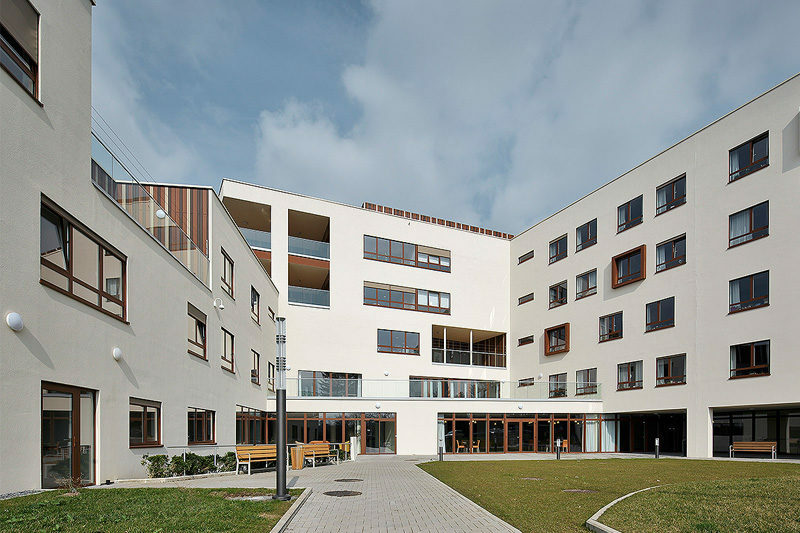 The “Cour Fischer” is an urban design made by ALTIPLAN°. Signature of the lease contract of the Astro Tower, kicking off officially the site works of this striking renovation. 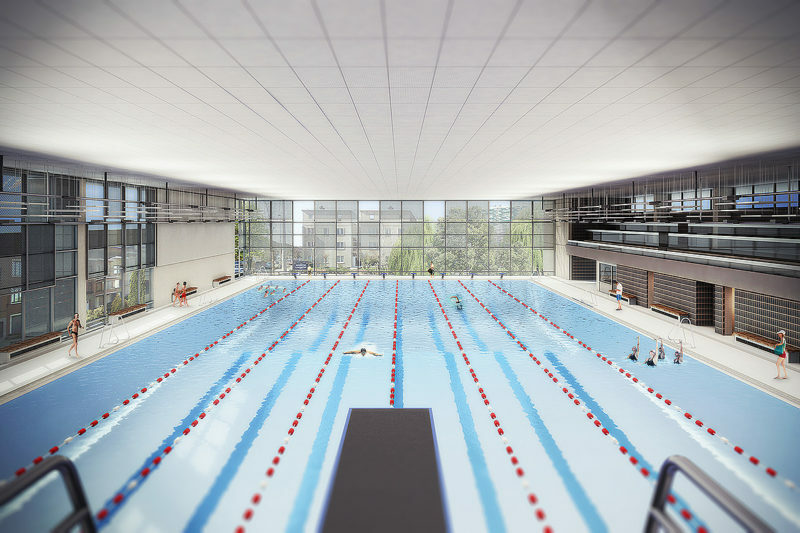 The Olympic swimming pool Louis Namèche in Molenbeek-St-Jean, Brussels is ready to start its rejuvenation process. 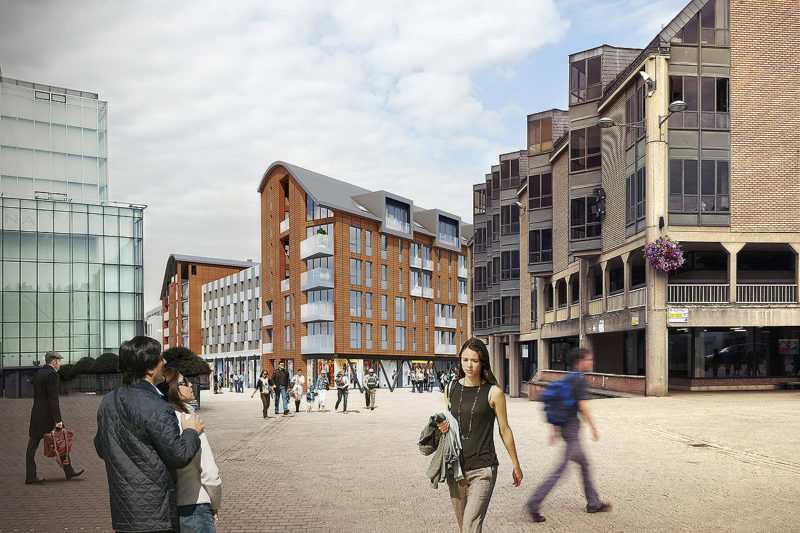 The new complex is due to reopen in September 2015. 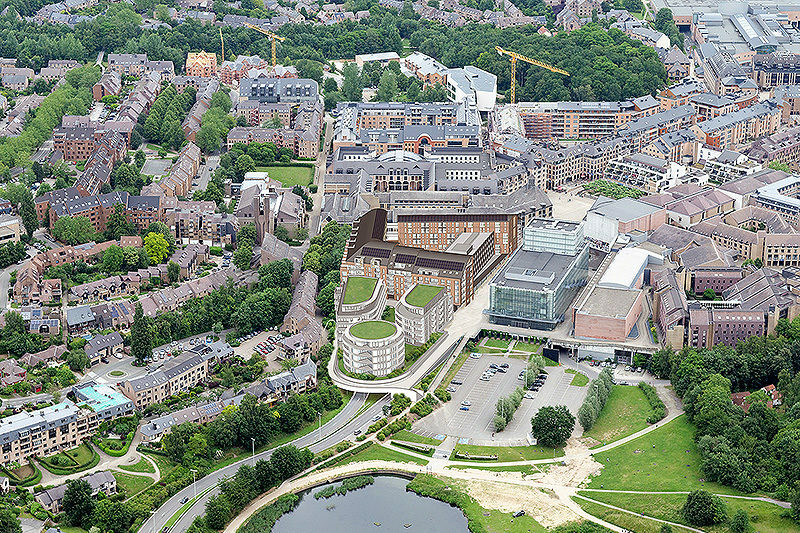 After several years of negotiations, the first planning applications are filed for the AGORA project in the heart of Louvain-la-Neuve. Building permit granted for the extension and renovation of the Sankt Joseph resthome in Eupen. 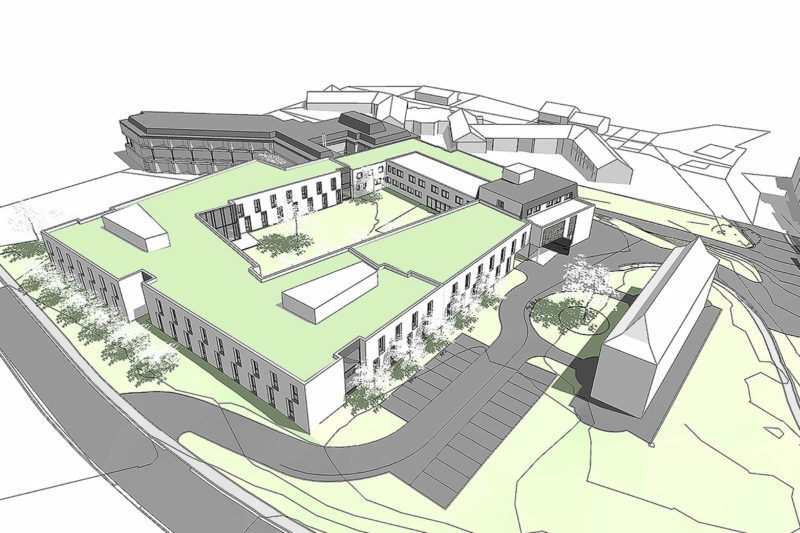 The work will involve the demolition of an old building and the construction of a new wing along with the renovation of part of the existing building including the visitor reception and administrative areas as well as landscaping layout. 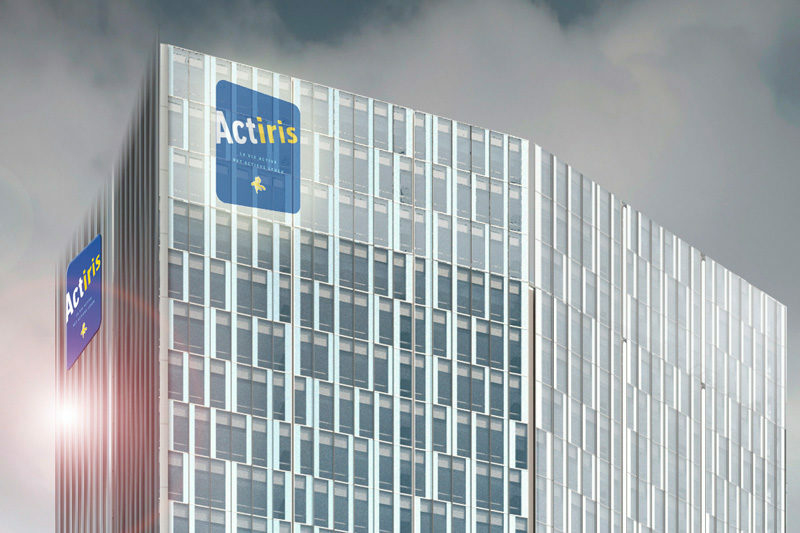 Political agreement to lease the Astro Tower for the regional administration of employment: Actiris. 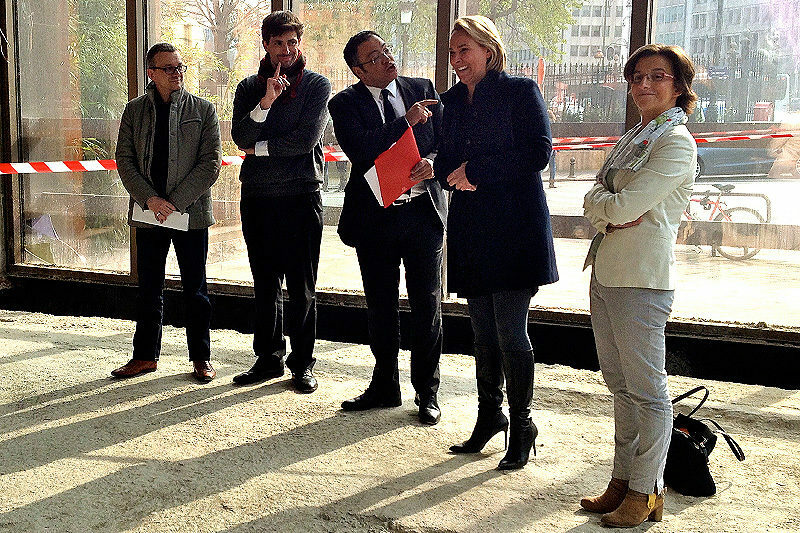 The Ministers in charge, Céline Fremault and Rachid Madrane visit the site. 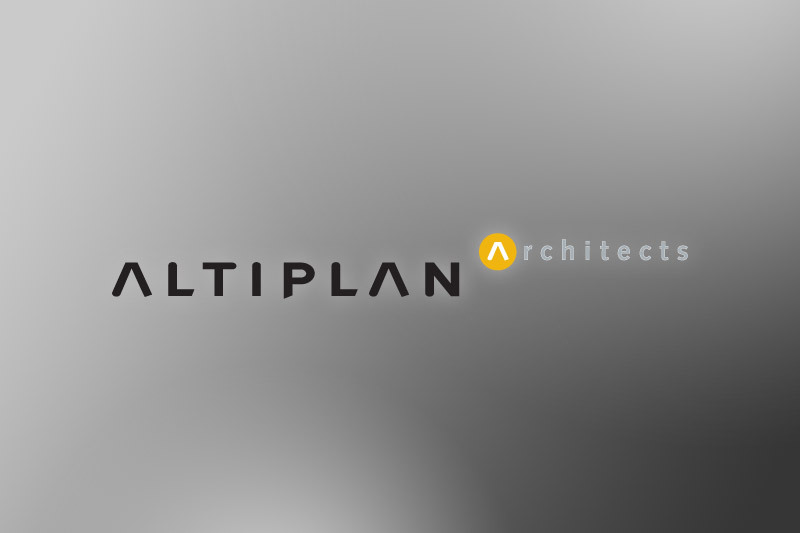 On this occasion, Marek Kisielewicz presented ALTIPLAN°’s projects for the coming year. 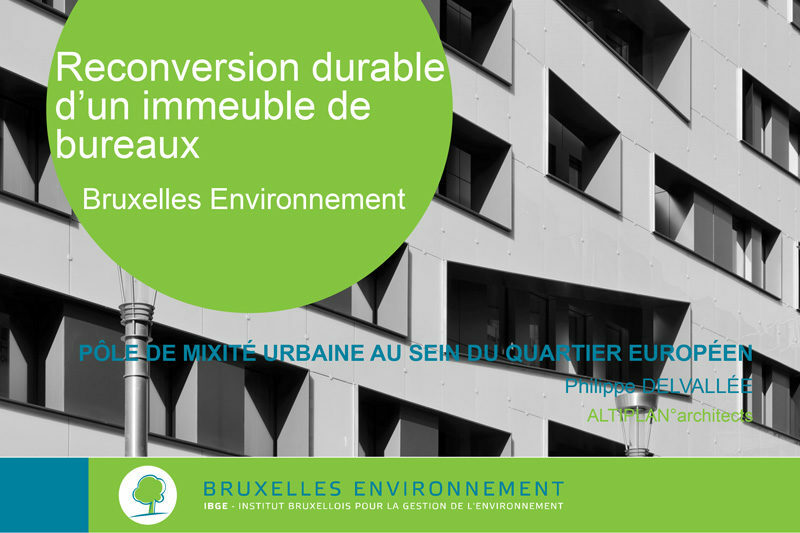 ALTIPLAN° presented the “Thon Hotel EU” project at the seminar on “sustainable transformation of office buildings” organised by “Bruxelles Environnement”. 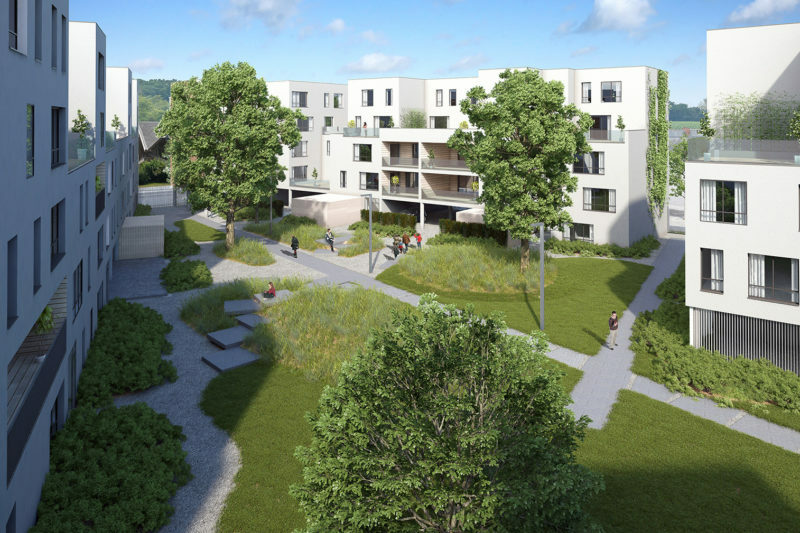 ALTIPLAN° Liège won the competition for the construction, in 3 phases, of 165 residential units in Droixhe for a total of 20.000 m².